the nearest resort but could hit the slopes in their own backyard. or municipal ski areas in Mill Neck, Old Bethpage, Huntington Station, Smithtown and Farmingville. that deposited hills geologists call a terminal moraine. 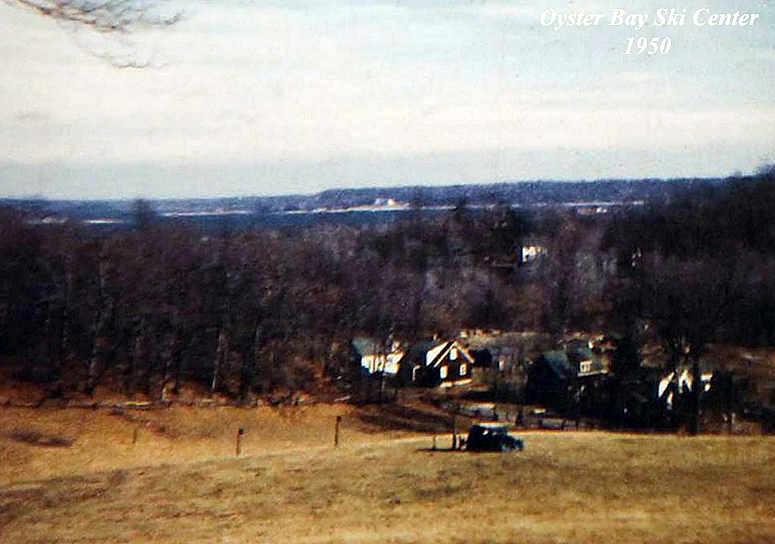 that operated in Mill Neck from the late 1940s through the winter of 1957-1958, or Bethpage State Park. on Long Island, serving a 400-foot slope with 100-foot vertical drop. the machinery inside are still there. Ken Summers, 64, of Brightwaters, said the ski area was opened around 1947 by his parents, Oscar Jr.
south of Ski Lane, west of Lake Avenue and north of Glen Cove-Oyster Bay Road. The area operated, natural snow permitting, weekday evenings and weekend days. The runs were 600 to 800 feet. The area originally had two rope tows, with a third added in 1951, powered by the rear wheel of a pickup truck. and we had toboggans and we took down a couple people with broken legs. We set up ski jumps and had a great time." 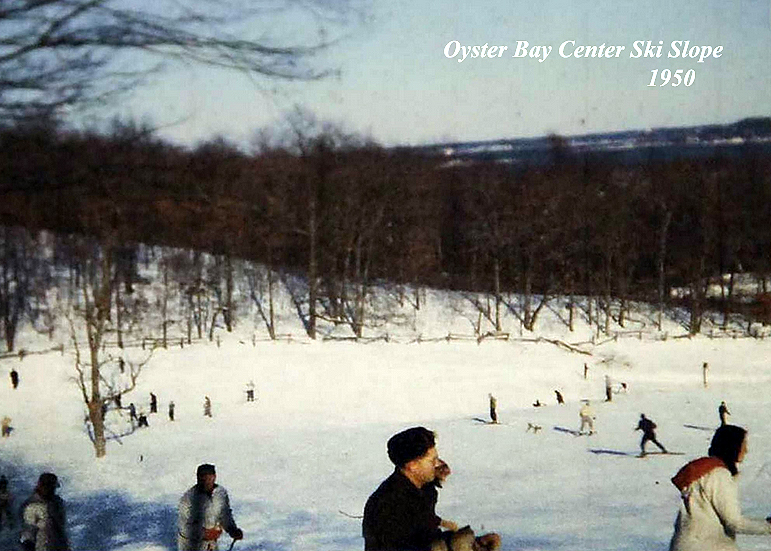 Oyster Bay Cove resident Caroline DuBois, 68, said the Oyster Bay hill was the first place she skied as a young child. "It was a great place to learn how to ski because it was so close and not too scary," DuBois said. get to the top and about the same amount of time to go down." the property owner sold the land for a housing development. Bill Voorhees, referred to it as "the island's first real ski area, serviced by machine-made snow." and in seven weeks raised $23,000. The members built the area, which opened in December 1959.
equipment, two rope tows, a ski school and a shop offering rental equipment. with rope tows and a T-bar lift. 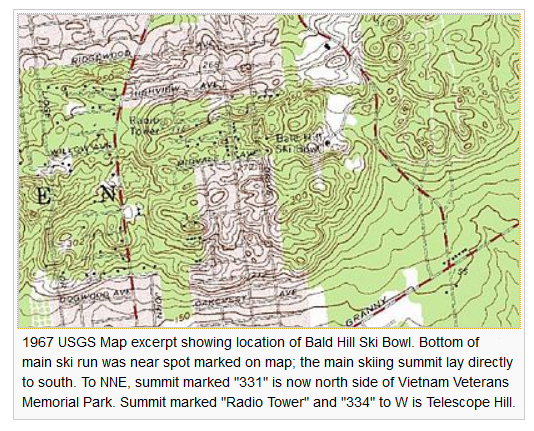 From 1965-1980, Bald Hill was the site of a Town-owned skiing area known as the Bald Hill Ski Bowl. Town of Brookhaven, and marks where the glacier which formed Long Island stopped its advance. When first settled in the late 18th century, the area was called "Bald Hills." merely "trifling" when he passed through in April 1790.
the Town with plans to build houses on his 229 acres (0.93 km2) in the area, including the hilly Bald Hill tract. return, he received Town approval for a "cluster housing" project known as Hawthorne Estates. Under the approval, he was allowed to build more houses on his remaining acreage than would otherwise be permitted. ropes ranging from 150 to 800 feet (240 m) in length, and there were now five ski trails on three slopes. A Swiss-chalet style lodge with a fireplace was also added. In 1975, The New York Times reported that the ski area was now drawing 5,000 visitors each week. between $100,000 to $200,000, depending on the amount of snowfall. 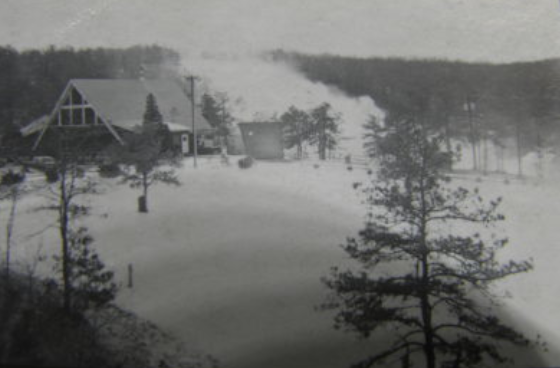 in Suffolk County gave the Ski Bowl its first profitable year. But the warmer winter of 1979-80 proved to be a death blow. 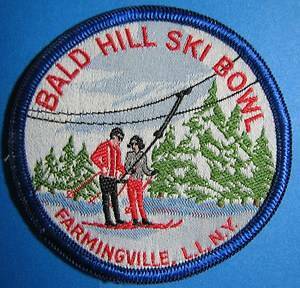 if natural snowfall was sufficient, Bald Hill's days as Long Island's largest public skiing facility were at an end. and sits to the right of the audience as they face the stage.